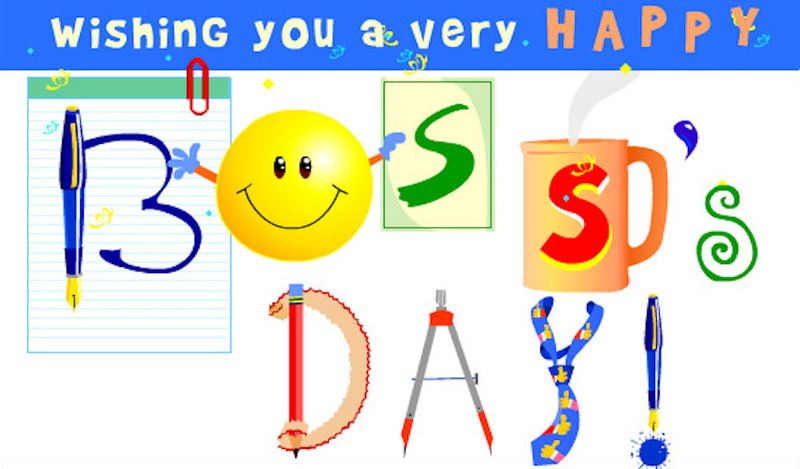 Fun and Inexpensive Ways to Celebrate Boss's Day | Check out our ideas! Boss’s Day was created as a day for employees to thank their bosses for being so kind throughout the year. It is generally observed on October 16. Some people question the validity of this type of day, while others enjoy celebrating it. The story of how this day was started began by a woman named Patricia Bays Haroski. She was a secretary for her father at State Farm Insurance in Illinois. She wanted a day to celebrate her dad as her boss and not only as her dad. In 1962 the Governor of Illinois, Otto Kerner, registered and officially proclaimed the day, “National Boss’s Day.” It was another 17 years until Hallmark decided to capitalize on this “holiday” and began offering a card for sale in 1979. How many of you celebrate boss’s day in your office? If you and your teammates want to participate in this day, you are probably brainstorming ideas and unique ways to celebrate. Some members of your team may not be able to contribute considerably monetarily. So we’ve compiled a list of inexpensive ideas of things you can do. If you choose to recognize your boss on this day, here are fun, yet affordable things you can do to show your appreciation. 1. Have a potluck. A potluck is when each person in the office brings a dish to share with everyone on the team. With each team member bringing one dish to share, it turns out to be a fun party with lots of delicious flavors to feast on. Host a Culinary team building program and make it a fun competition! 2. Bring breakfast. A dozen donuts from your local donut bakery is probably less than $10. This is a great way to show your boss how much you appreciate them with only a small contribution from each employee. For just a few dollars, everyone can enjoy a special treat and kick the day off eating breakfast together. 3. Flowers are an excellent gift for your female managers. A lot of women genuinely enjoy receiving flowers. Flowers are given to recipients for numerous reasons including love, apologies, sympathy, and kindness. A simple bouquet of flowers could express your gratitude to your boss, and she can keep them on her desk for the rest of the week as a reminder of how amazing her team is. 4. Create a handmade team card. If you are not able to spend any money, a handcrafted gift like a card is a thoughtful idea. Each team member can use their creative side to decorate and express their gratitude to their boss on a large card. 5. Decorate his or her workspace. If your boss is the type that likes surprises, then decorating their workspace would be the perfect gift. Imagine when they walk into the office in the morning, thinking its a regular day and see streamers, balloons and fun decor in their office. 6. Give a Gift Card to their favorite restaurant or store. If you want to treat your boss to a nice dinner, a gift card would be an ideal gift. With only a small contribution by each employee, you could surprise your boss with a gift card to treat themselves after hours. Therefore, if you appreciate your boss and think they are doing a fantastic job, don’t forget them on October 16. This is a perfect opportunity to prove you are hands down the best employee on bosses day.